How to Never Become a Great Artist! 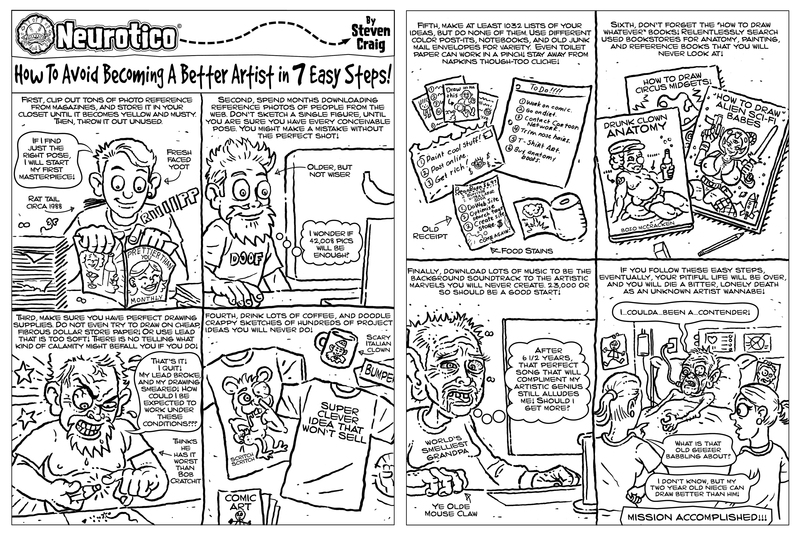 The steps in the cartoon work-I have employed them all! Ok, I fibbed about the Bowel Buddies logo. I did it for this cartoon. Believe it or not, there is actually a food called “Bowel Buddies,” that came out after I came up with the idea for this! I am afraid to put the whole cartoon on with the dialog, because people will probably be offended, even though that the toon is pure satire. Enjoy the artwork though! You can come up with your own text! Neurotico Fried Fair Food “Big Tex As Burning Man” Collector’s Edition! Poor Big Tex got hot under the collar last week. Good news is that he won’t creep me out again…till the new one is up next year that is!